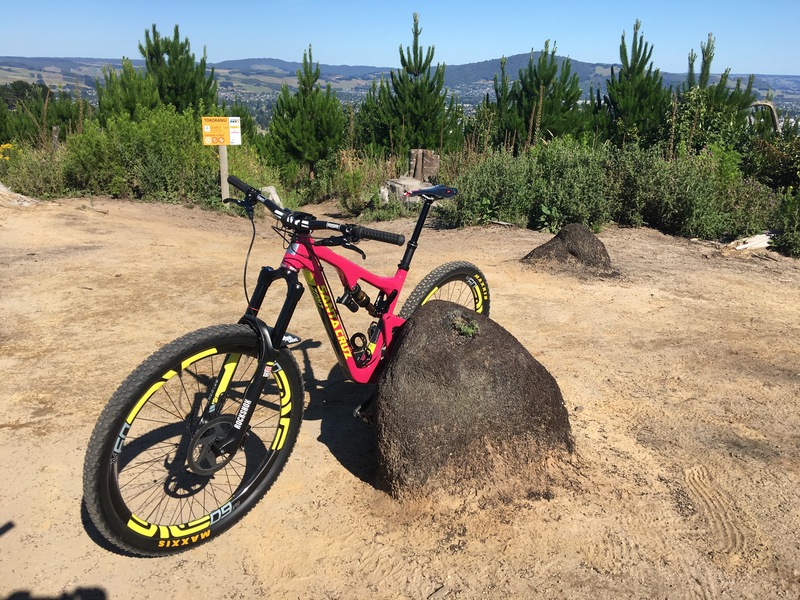 The big name in MTB in Canberra is Stromlo. Mt Stromlo has a set of dedicated tracks, built to a standard that at least national (and I think international) people race at. The park also includes a track for roadies. This was only my second time here, and I had forgotten why I kind of don’t like it. You ride up for about 45mins, and its not very gentle. Then you ride down for about 10 mins. And if you want to go again, you ride up again for 45 mins more. Down is pretty cool with sharp banked turns, that being used to the more gentle slopes of Sparrow Hill I am a little out of my depth on. They should be fun, but mostly I just yell and hold on. I did get some air, or at least I got the front off the ground at a couple of points. But overall I like Sparrow the best out of Sparrow, Stromlo and Majura. Monday seems to be a standard ride the Daytona day this summer. This time I headed somewhere different. The road from Canberra to Bateman’s Bay is apparently interesting. Well it is, but you have to ride for about 45mins down a pretty boring road across the plains to get there. But Clyde Mountain, wow. It’s pretty steep and winding and I don’t think I got to the end before I hit my turnaround time. It was also in the middle of being resealed so I’ll give a month or so and might head that way again. Except for the hours of boring stuff. The road out to Marulan, though less technical, more interesting. I might do that next Monday. Or tomorrow? OOOOhhhh Friday morning on the MTB, I was massively happy. There is a turn on a track called See Saw that I fallen on 3 times and skipped at least twice. Rode down it without falling or stopping Friday. I think the whole forrest heard my happy yell. Got out again this afternoon, trying a newly built trail. A fun ride actually, “Brake Dance” and “Rock and Roll”. Both had some tricky stuff and both were mostly downhill, so good fun. 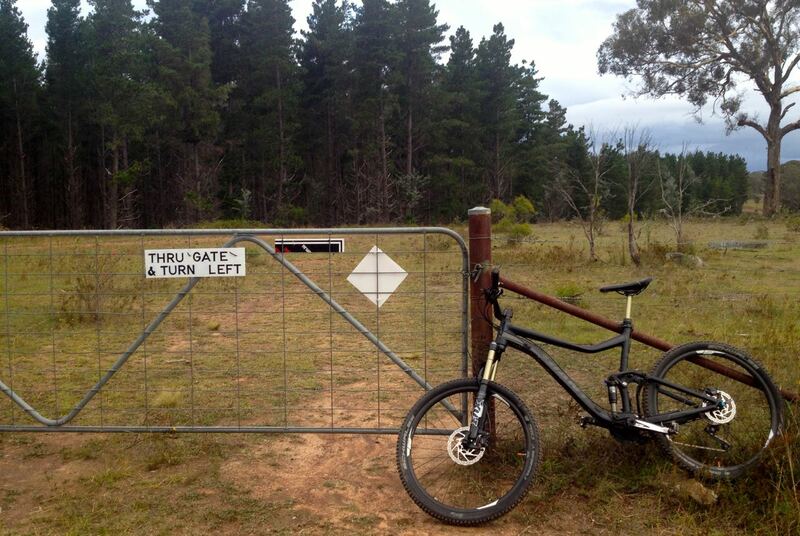 However the uphill bits were harder as the new trail was still pretty soft (not compacted by lotsa tyres). Disappointment though in the end as I hit “Creek Run” a fun quick blast at the end…. the back started getting really loose and it was obvious I had another flat. Two in three rides. Home and I FINALLY washed the Daytona, the Trance (my MTB) and fixed the tyre. Actually pretty happy about getting that stuff done. And then the afternoon too?? But that’s only 20mins round trip after resting all day. So we rode into Kowen, he knew his way around so I let him lead. Did about 12km and that added to the 10km I did in the morning. Actually was quite surprised to find that I had covered that much. And remember my levers problem? Well I was riding along and the handlebars were just really looking strange, sort of sloped in and down. I had been suspicious that they had been slowly rotating over the past few rides, but I couldn’t remember how they started out so wasn’t sure. And if it was rotating, it was happening really, really slowly. We stopped and had a look. My mate thought they looked odd too, so I broke out the tools. As soon as I loosened the bolts in the clamp, it was obvious it was loose. The bolts were tight enough that the bar was firm, but they were just not tight enough, that it must have been slowly rotating as I rode along. Thursday morning I did another 10km in the forest before work too. Might head out tomorrow as well. Good fitness yeah! Author MabahoPosted on February 19, 2015 February 19, 2015 Categories Mountain BikesTags MTB, Sparrow HillLeave a comment on And then the afternoon too?? So sunrise on Tuesday found me already in the Sparrow Hill carpark. I woke up early and realised that I could get out there and have a ride before work. Then afterwards, shower and change at the gym at work. So I did about an hour in the forest. Started out on Short Loop again, but was worried about the time so cut out the last 5km after small gate. So I got back in the car when I realised that I had left my locker key at home. /doh! So in the car and headed home to get it. As I was heading home I thought, you know I should just shower at home and then go back to work. And ride the Daytona in. Author MabahoPosted on February 18, 2015 February 19, 2015 Categories Mountain BikesTags MTB, Sparrow HillLeave a comment on Sunrise in the Forest. I headed into the forest this Wednesday morning. Meet up with someone from work and we headed up Sparrow Hill. He was a lot faster than me and I don’t think he was pushing very hard. But I did have one first, a flat tyre. It started pretty slowly, the bike got gradually more loose in the rear. After about 5km, I stopped an pumped it up, hoping it would last the remainder of the ride (we were on our way out by then). It didn’t hold and got loose again very quickly. Very obviously the tube was holed. I walked a bit, but eventually we decided to try fixing it. So it’s off to the bike shop to get a new tube, and to get a puncture repair kit to take with me on my solo rides. 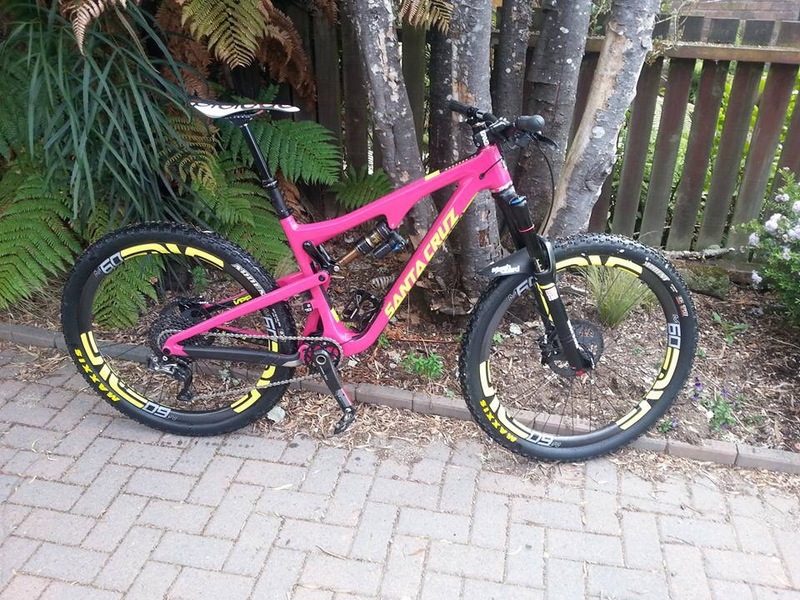 Author MabahoPosted on February 12, 2015 February 11, 2015 Categories Mountain BikesTags MTB, Sparrow HillLeave a comment on MTB – Another First. 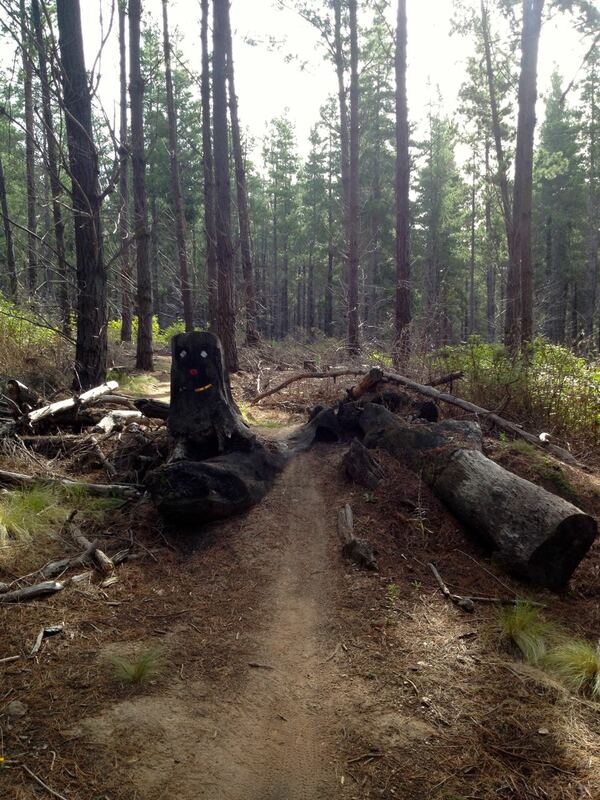 I was wondering, as I pedalled through the forrest last week, what “initiation” I needed to do to be a “mountain biker”. I figured that having a decent stack would be a good start. So I sorted that out today. Coming down a slope I was breaking and managed to throw myself over the front. Getting up proved awkward as my backpack had managed to get tangled into the mess as well. I lay in the dirt and had to unclip the bag before getting out from under the bike. Apart from that it was a good ride today (and actually it wasn’t that bad even with the stack) Rode about 16km in about 90mins. Saw a few others riding too. I kept up with them for about a metre, lol. Monday afternoon was clear again, so I hit the trails. So stocked when I rode up and over this without pause. I followed the “Short Loop” of about 15km. This series of tracks is signposted, and having ridden some of them already the navigation was much easier, reducing the need to stop. I completed the Loop in just over an hour, 30 mins faster than a similar distance last week. I’ve now ridden most of the forest, perhaps about 80% of the tracks. Now I need to put together a bunch and ride them a few times to learn them. This Short Loop seems a good start. Growing confidence was a lot of the improvement. Better fitness I hope too. And having ridden about half of it already helped too. I found myself pedalling a lot more than I other days, keeping my speed up. This was achievable as I was more confident in how it all worked. I did save a couple of moments and slides, though almost ended in tears when the rear locked up on a disintegrating log I rolled over. Almost had me over the handle bars! Great fun again, but I fear that first stack is getting closer and closer!! Even with the threat of rain for the afternoon I loaded the bike into the car for work. And even when I came out to find it had rained…. it was only a little bit. I got out to the forest, there were a few spits of rain, but I figured that under the cover of the trees I would be pretty dry. I followed some trails I hadn’t ridden the other couple of times. A couple of muddy patches but the light drizzle stopped at some point that I can’t remember. I think I did about 12-15km in the forest. I rode the whole distance, even the climbs. Happy with that. I also managed to flow some of the corners together. I also managed the small drops a lot better after some tips from dad.